Anglesey, Llaneugrad, WWI Grave - a Memorial to Griffith Owen with inlaid Dead Mans Penny. 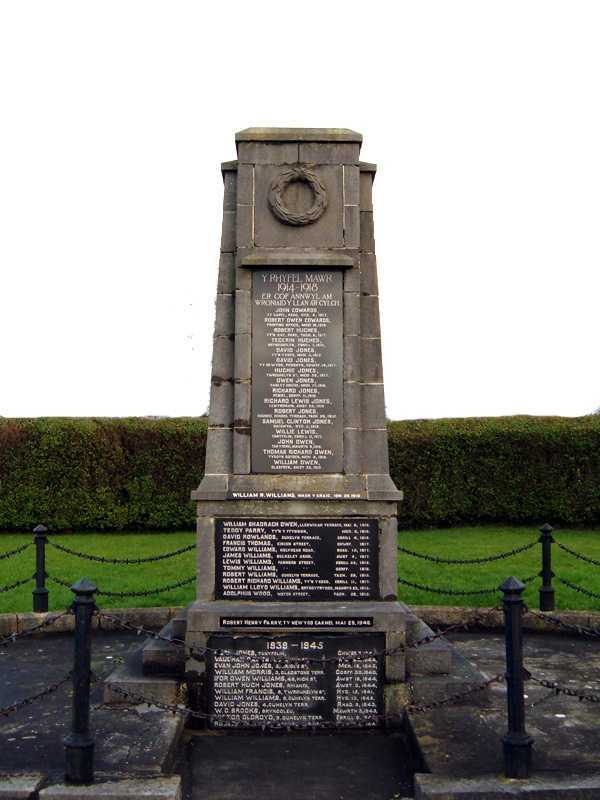 Llaneugrad does not have a war memorial of its' own as it is in quite a rural area with a low population. 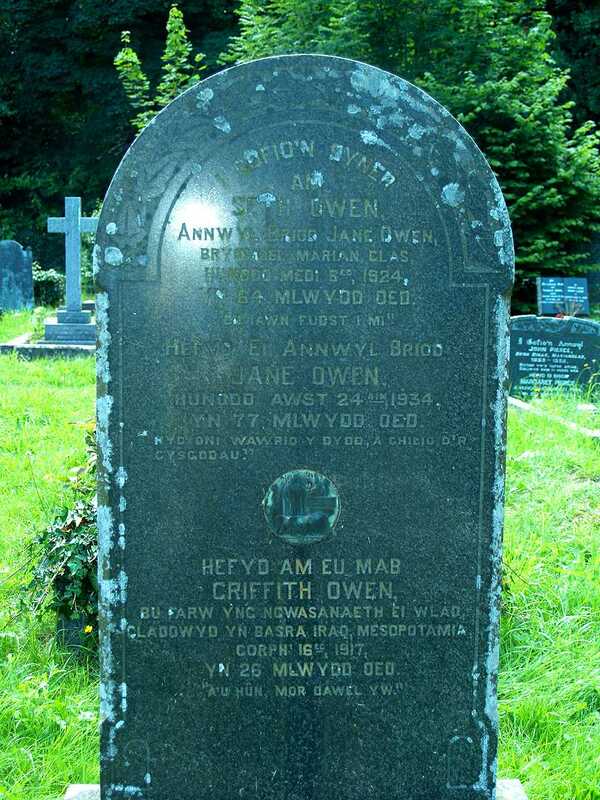 Llaneugrad, WWI Death Plaque for Griffith Owen at St Eugrad's Church. 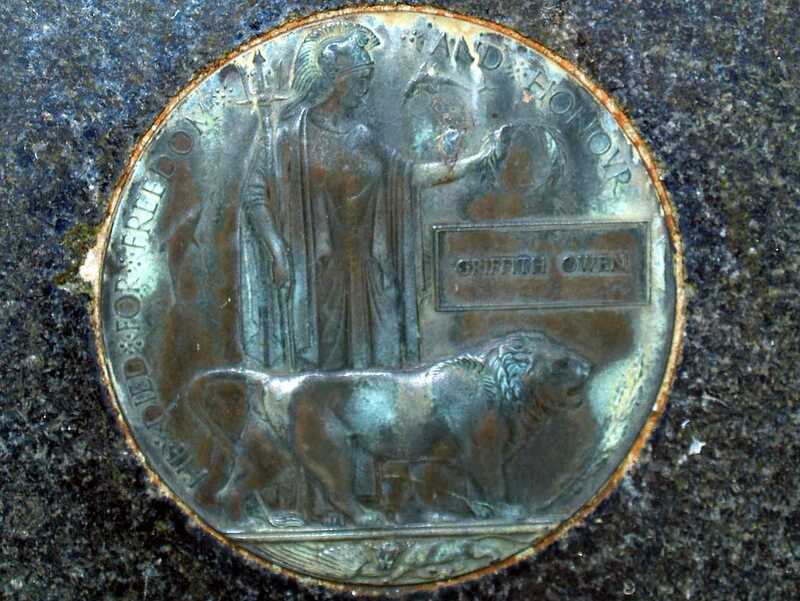 The Death Plaque - or Dead Mans Penny - was given to the next of kin of the fallen during World War One. I have seen several graves where the penny has been incorporated somehow into the gravestone. Griffith Owen is actually buried in Basra in Iraq, but he is remebered here on the grave of his parents. As he was from Marianglas, I would say he is remembered on the War Memorial there.